Epicor channel partners work in conjunction with Epicor to resell its products and services, often with customizations specific to each individual buyer. In addition to the value-added reselling of these tools, many Epicor channel partners also offer implementation services. In situations where partners do not offer those services, buyers can utilize the services of companies that specialize in software implementation to assist with installation and training. Epicor products are geared toward the manufacturing, distribution, retail, and services industries. Tools like Epicor Retail and Epicor Activant OpenERP allow buyers to manage the day-to-day operations of their businesses. Epicor Channel Partners reviews by real, verified users. Find unbiased ratings on user satisfaction, features, and price based on the most reviews available anywhere. Compasys provides Epicor ERP and SCM Implementation services to manufacturers. Our professionals offer over thirty years of integrated management systems experience for small and mid-sized manufacturing and distribution operations. For over 10 years Creative Technology & Design has partnered with manufacturing companies to help streamline their operations and meet strict operational and industry compliance requirements. 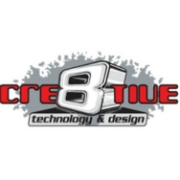 Creative is more than a Platinum Epicor technology solution provider. We are a trusted business partner with more than 10 years’ experience supporting manufacturing best practices giving our customers a competitive advantage in your industry. We understand global supply chains, aggressive delivery cycles, strict industry compliance and a highly cyclical, lengthy sales process are a few of the many challenges that the manufacturing industry faces on a daily basis. We help Aerospace & Defense, Furniture & Fixtures, and Fabricated Metals and many other companies avoid the turbulence with industry-specific manufacturing ERP software that keeps you flexible and lean. The Quartz Group, is dedicated to delivering the most advanced innovation and technology as specialists in Epicor Software ERP applications. 2W Tech is a full service Epicor ERP and IT consulting firm. 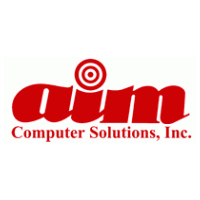 AIM Computer Solutions provides business software for manufacturers. Capstone Alliance Partners offer affordable logistics solutions that provide the right information, to the right people, at the right time. ComTec Solutions is a technology services company that specializes in the integration of hardware, software, and Pprocess optimization to overcome your business challenges. Management consulting, team development, and enterprise software for manufacturing and services firms in the Americas and Europe. "Our finished goods inventory has dropped 21% over the last three months. Over the same period of time, WIP has dropped 69%. Our overall inventory is now at the lowest level it has been in three years." - Bill M., 4-M Precision Stamping, Inc. "We always wanted a scheduling system that would help tell us what we can do for a customer and help us meet that commitment. Without your help and/or a significant change, our ERP could not do it. Now it can." Jim W., GearTec, Inc.
Crawford Software helps clients maximize their software investment. Datanational Corporation, a Michigan-based company, provides a wide-range of IT solutions for businesses. Datix has been designing enterprise software solutions for almost 20 years. As we have evolved we began consulting with manufacturing and distribution businesses in the mid-market to assist in building out their enterprise software systems. That’s been our M.O. for the last 15 years. We’ve built partnerships with some of the most popular software utilized by these industries, and have created a powerful reputation as an expert who understands how all these systems should work together. At Datix, we get it. We know enterprise software, and can visualize how it can support a wide range of different business objectives. We are innovative thought leaders that are constantly developing proprietary applications and solutions based on the challenges we see clients face the most. Businesses work with us when they want to mitigate risk, solve problems and improve the way their business operates. Encompass Solutions Inc. is a dynamic and deeply experienced organization that provides expertise in ERP and business application systems. EpiCenter is an Epicor Reseller and Platinum Partner. EstesGroup was founded as an ERP consultancy and has continued to service ERP customers nationwide. HRMS Solutions is a North American provider of human capital management solutions that include HRIS, recruiting and talent management, payroll, and time and labor management software for mid-sized companies. Marshall & Poe deliver powerful software solutions for business. MIS Consulting & Sales helps you select the ideal ERP solution for your business and tailor it to address all of your business challenges. Noventus Solutions sell and support Epicor's award winning ERP solutions geared to fit the needs of a wide range of industries. Pronto Progress is a network and security consultancy. RAM Software Systems provide consulting, communications, system design, software customization, implementation, training and support. Tekro helps company's experience the full potential of this powerful ERP system. The Marksman Group fills your organization's current gap in Epicor expertise needed to see your Epicor projects to successful completion. Tri Gem Co., LLC is your partner in business management systems designs and implementation. Vision Business Solutions is a supplier of enterprise software solutions and services. Hi there! Can I help you find the best Epicor Channel Partners solutions?